Microsoft recently updated Outlook 2011 for Mac with a Service Pack (SP1) update. Prior to this update, Outlook 2011 would sync contacts with Address Book, but not other data types. As of this new update, Outlook for Mac is now able to sync events and tasks to iCal as well. The good news for our customers, is that you will now be able to use our Missing Sync products to sync Outlook 2011 for Mac contacts, events and tasks with the mobile devices that we support. If you have upgraded your copy of Outlook, and are ready to go, we have created a knowledge base article to help show you how to configure Outlook 2011 SP1 for use with Missing Sync. We received a copy of Netherlands based MacFan magazine yesterday in the mail, with the pleasant news that Missing Sync for Android was reviewed in the issue and received a 4.5 out of 5 rating. 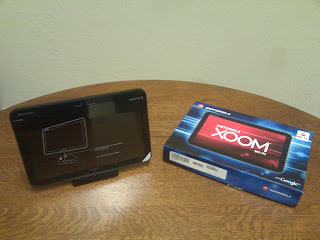 Motorola started shipping the WiFi version of their new Honeycomb based tablet, the XOOM a few weeks back. We have a few of them here at the office, and have started updating our Android products for both Honeycomb (Android OS version 3) and the XOOM. As of last week, all of our Fliq products have been updated to be fully compatible with Honeycomb and the XOOM, and we have done the same for Missing Sync (currently supports WiFi and Bluetooth sync, we have more work to do in order to also support USB sync with Honeycomb). We next plan to take advantage of the large format screen, and produce Honeycomb optimized versions of each of our Android applications. For example, a multi-paned screen layout for each of Fliq Tasks, Notes, Calendar and Bookmarks, as well as USB support in Missing Sync. Apple has been making changes to MobileMe Calendaring over the last year, and those changes remove support for MobileMe calendars to work with the Mac OS X sync services framework in a way that 3rd party applications, such as Missing Sync, are able to perform a 2-way sync of calendar data via Mac OS X Sync Services. Up until recently, use of the updated MobileMe system was optional, however Apple has now announced, via a recent Apple support article that "On May 5, 2011, MobileMe will transition to the new Calendar service. You must upgrade to the new Calendar to maintain calendar syncing between your devices and to continue accessing your calendar at me.com." For full details of the changes, and a number of options for those effected, please see our knowledge base article on this topic. After a false start with the 1.2 release, Fliq Calendar 1.2.1 is out and about. Fixed a longstanding issue where on certain models of HTC and Samsung phones, the calendar database could be reset after a device reboot. 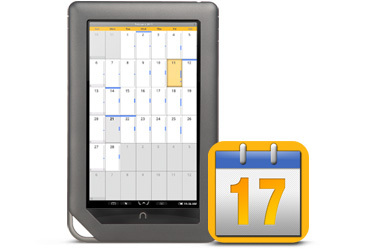 Related to this, a few weeks ago we created an instructional video for Fliq Calendar. Even if you have been using Fliq Calendar for a while, you may want to check it out to pick up some tips. What next for Fliq Cal? Well with honeycomb devices now starting to appear on store shelves, we're in the process of upgrading all of the Fliq apps to be "Honeycomb Savvy" and take advantage of the new tablet oriented OS.